Maritime Green Builders has a strong tradition of being there when people and clients need us. Founded in Myrtle Beach, South Carolina, we have grown to offer the best in construction and building, offering modern methods to complex projects and practical solutions to help clients achieve their goals. We conduct our business in an economically, socially and environmentally conscientious manner. We attribute our success to being a family owned and operated company. We believe our client relationships are our biggest asset to being successful. Maritime Green Builders has shaped the standards in commercial building. We know that the projects we construct ultimately help our clients and community. Maritime Green Builders is the leader in sustainable building. We see this opportunity as a privilege and responsibility that benefits our current and future generations. It would be our privilege to have the honor of constructing your next project. 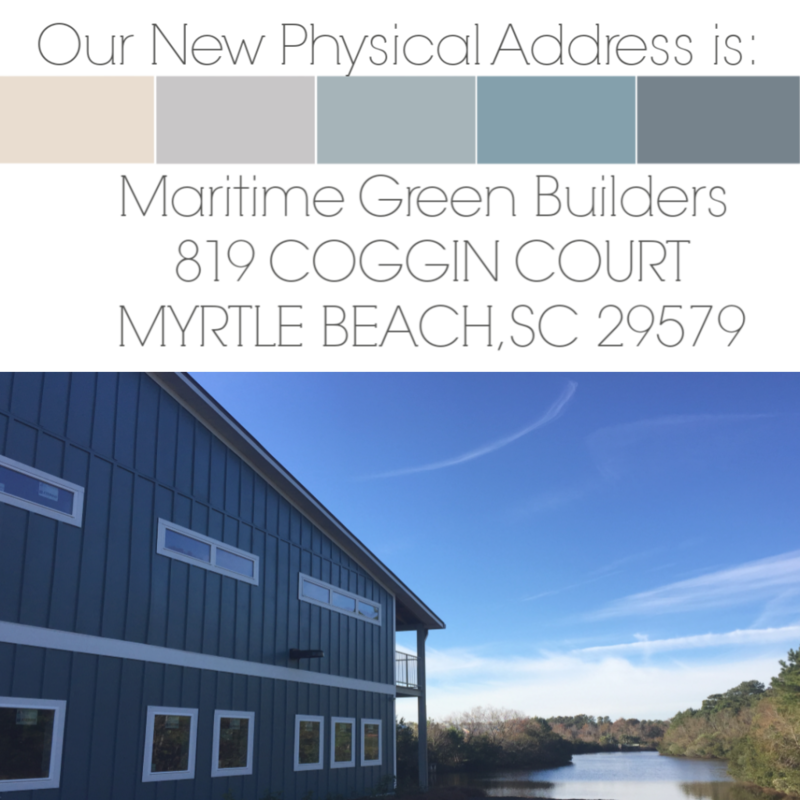 Maritime Green Builders is now located just minutes off of International Drive in Carolina Forest. We are currently seeking potential tenants for our rare office-warehouse space located in the heart of Town Center Commercial Development in Carolina Forest. If you or someone you know is looking for commercial space to lease, click here for more information. Our mailing address remains the same, P.O. Box 70418, Myrtle Beach, SC 29572.